Copenhagenize.com - Bicycle Urbanism by Design: 50% On Bike By 2012! No... 2015! No... 2025!! 50% On Bike By 2012! No... 2015! No... 2025!! 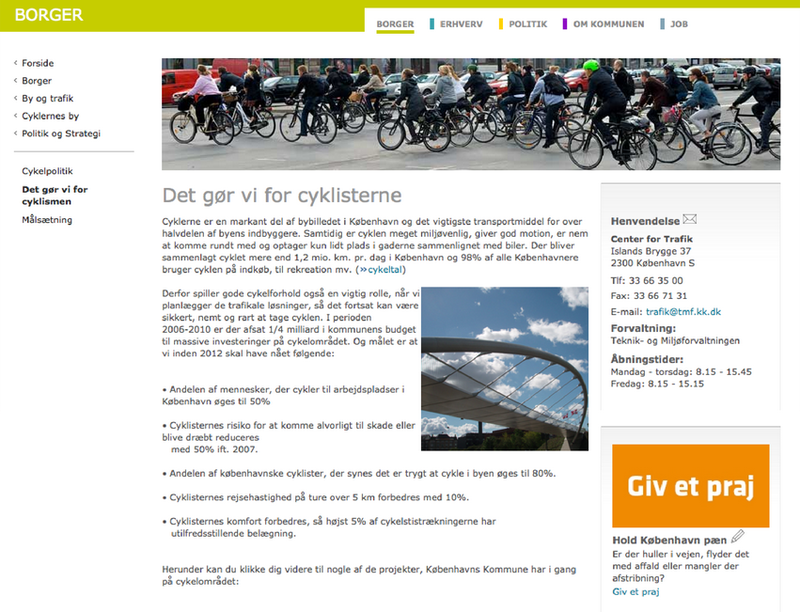 The head of Copenhagen's Bicycle Office, Andreas Røhl, sent us a comment about the above article. It's at the end of this article. On April 16 there was an article in Politiken, a national newspaper, about some visionary new goals for cycling in Copenhagen. "If you don't dare to be ambitious, you don't get anywhere". "It is daring. 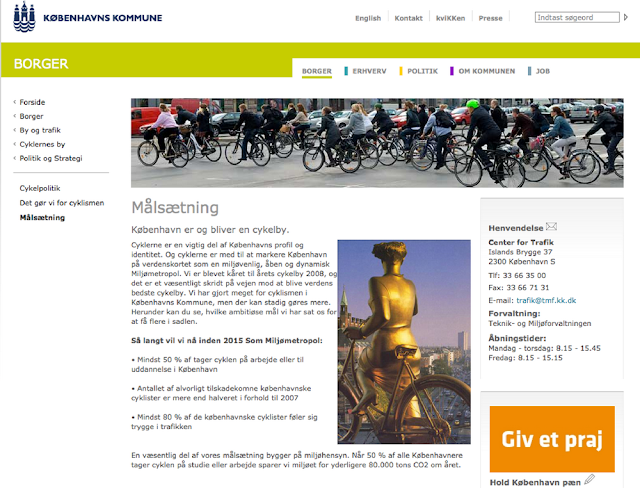 The goal is that 50% of all trips to work or education in the city of Copenhagen will be on bicycles by 2025." Bo Asmus Kjeldgaard admits that it is a high goal to aim for. If you know nothing about it it sounds great! Wow. How visionary of this Bo Asmus Kjeldgaard. Here's the problem. Here's why this is Newspeak in a silver (tinfoil, actually) lining. In the City of Copenhagen's Cycling Strategy 2006-2010 there was the declared goal that 50% of all trips to work and education should be by bicycle by... 2012. That was back when the mayor in charge of our DoT was Klaus Bondam and he, together with the then Lord Mayor Ritt Bjerregaard, found 250 million extra kroner to work towards the goals. Bjerregaard later took the piggy bank away from Bondam in order to go to bed with the right-wing parties so that she could try and win the next election, leaving Bondam's visions out in the cold. What a smack in the face THAT was. 50% of of all trips to work and education should be by bicycle by... 2015. A three year extension. It IS a tricky goal, especially when bicycle helmet promotion reared it's ugly head in early 2008 and rebranded cycling negatively for the first time, as well as causing cycling levels to fall in Copenhagen. But three years... I could almost live with that. And now the new mayor has just extended the deadline by a DECADE. 2025. Without admitting that A. the goals aren't even his vision and B. He has failed as a bicycle-friendly politician. He prefers putting money into electric cars even when Copenhageners don't want them, prefering more bicycle infrastructure investment and more Metro instead. You simply cannot 'communicate' yourself to 50% of all trips by bicycle. Posters, websites and recycled spin will not achieve that. You need money. More than the €10 million annual budget for Bicycle Office. 250 million kroner could have been an excellent start. But the visionary bicycle-friendly politician has left the building. Leaving us in an increasingly car-centric vacuum in the nation's capital. Copenhageners can discuss - often heatedly - the former mayor, Klaus Bondam, but one thing is certain. As far as making the City of Cyclists even more bicycle-friendly, Bondam was a once-in-a-generation visionary and he accomplished more in his first week on the job that Kjeldgaard has in his first 18 months. "1) The goal of 50% wasn't part of the bicycle strategy for 2002-2012 and thereby has never been a goal for 2012. In the Bicycle Strategy for 2012 there was a goal of 40% - which we started to edge closer to with 37% in a snow-free year (2009) . 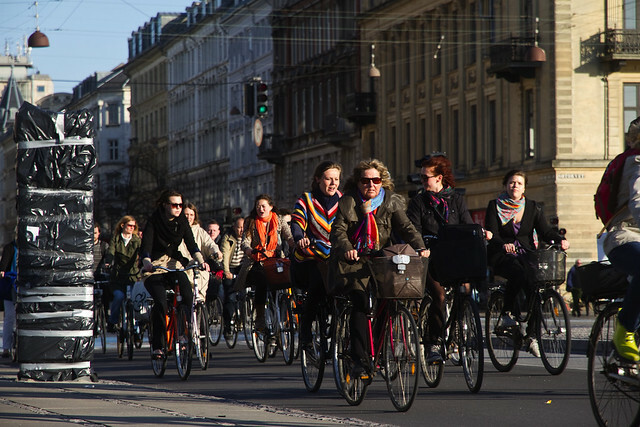 Therefore that goal was adjusted to 50% by the end of 2015 in connection with the City Council's 2007 decision that Copenhagen should become a Miljømetropol (Environmental Metropolis), including the world's best bicycle city. 2) In addition, it doesn't say in the new Bicycle Strategy that the goal has been veiled for 2015. It merely says that it is extremely ambitious and that if we don't reach it in 2015 we will continue to work towards it in 2025. Also, part of reaching the 50% goal presupposed congestion charges, which the national government hasn't allowed the City of Copenhagen to initiate." Thanks to Lasse for the link. A related criticism of the City's backpedalling on visionary projects - in Danish - at the Latterlig at... (Ridiculous that...) blog.